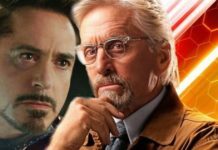 It is surely one of the oldest rules in the crossover world: if two heroes are going to team up, it is only after they battle against each other first. 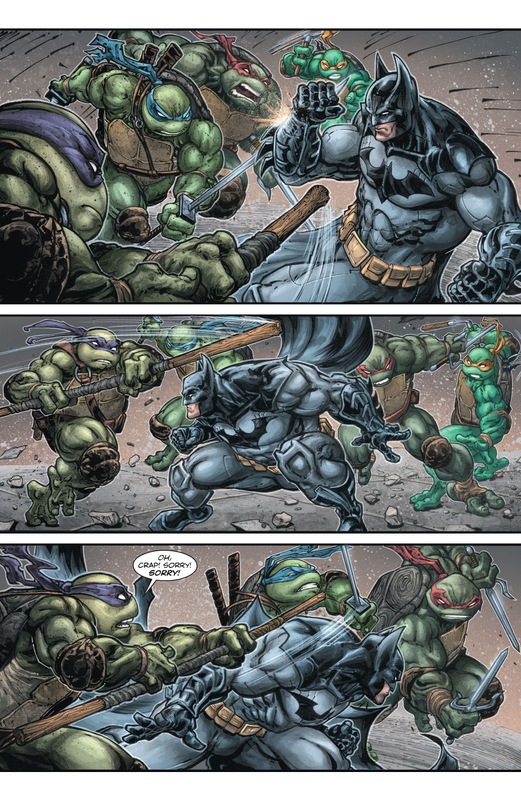 The Batman/TMNT series had a great fight in it and is a good example of why the crossover has been a blast. 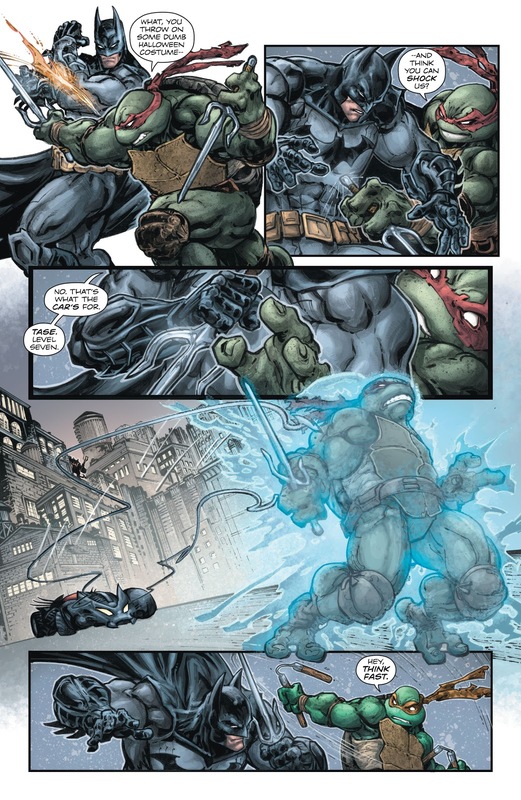 The Batman/Teenage Mutant Ninja Turtles #2 was written by James Tynion IV, Jeremy Colwell, Freddie E Williams II, and Tom Napolitano. 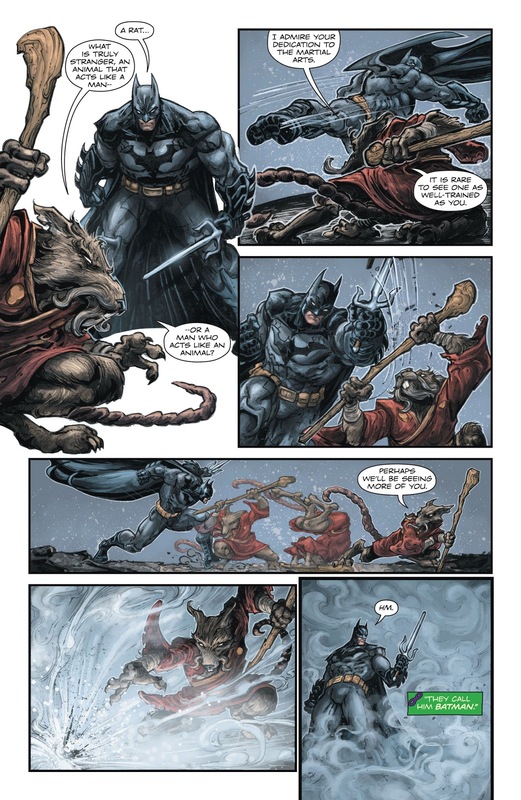 A reason why this series was fun with just 2 issues was James Tynion IV’s balance of Batman’s self-seriousness and the world of Gotham with the care-free Turtles. 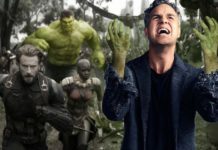 The fight scene at the opening of the 2nd issue is a familiar one—but it is a great moment, and one would know that they are in for a treat. 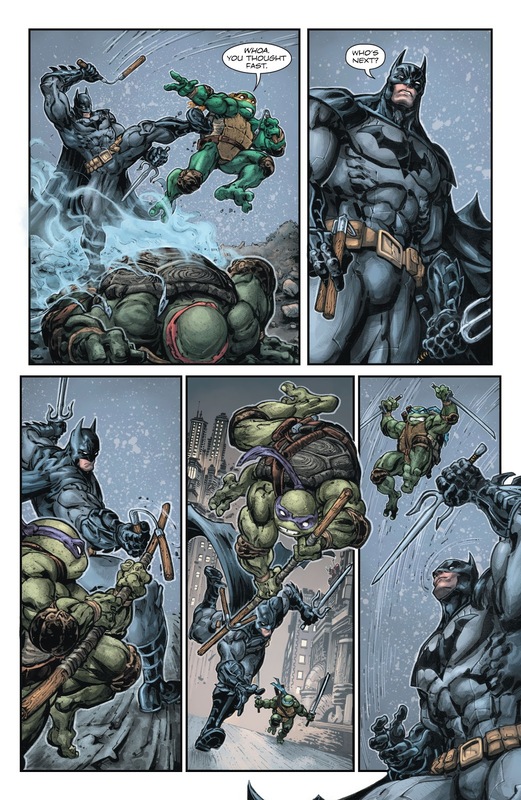 Seeing a fight where Batman shows off and incapacitates each Turtle with ease is simply amazing. 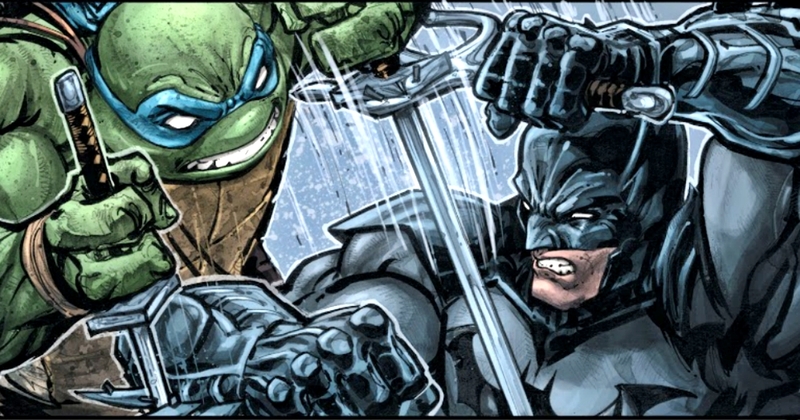 He is a pretty good fighter who has an agility which defies the Turtles. Although comic books do not need any extra moment to remind us that Batman is an awesome character, this fight works because of the reaction from the team of Turtles. They draw charts of what exactly makes Batman so awesome and also, what makes him not awesome. 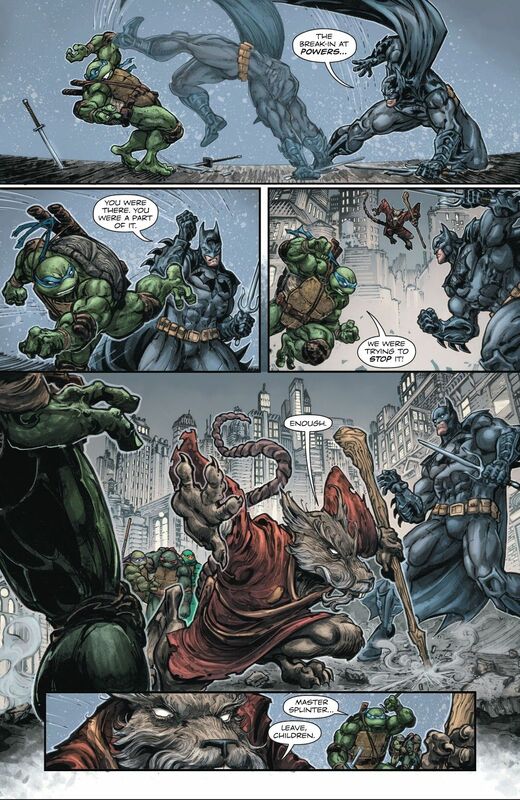 The mutant turtle ninjas are guys who just love pizza and enjoy fighting crime. 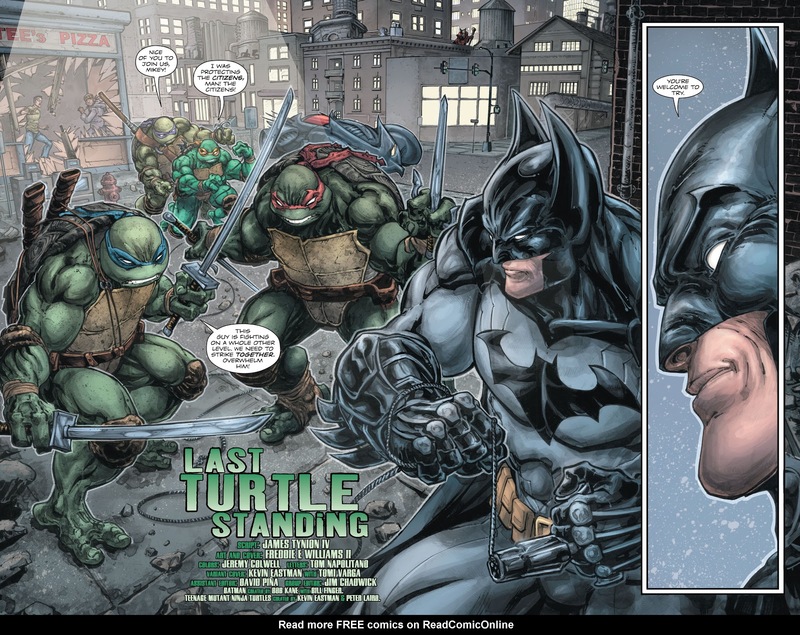 This team loves the idea of a billionaire running around town in a bat suit and surely adores his fancy gadgets. 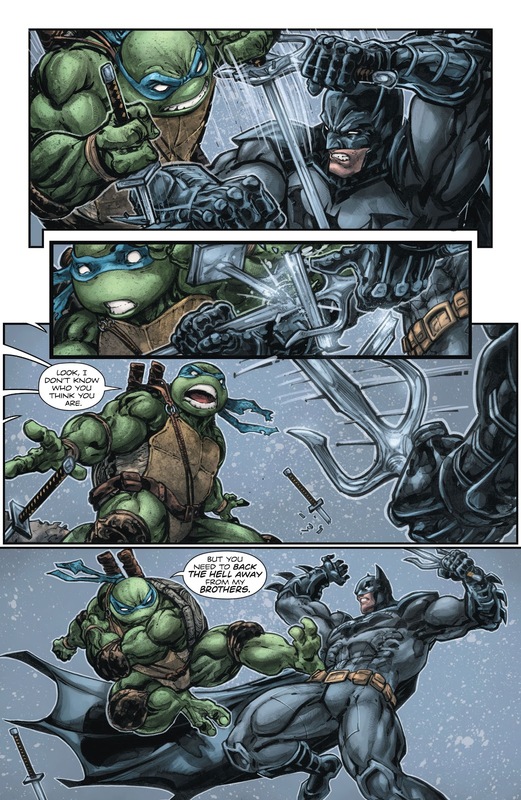 This kind of encapsulates almost everything that makes Batman/Teenage Mutant Ninja Turtles so much fun to read. 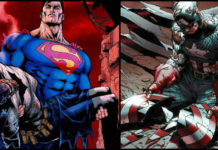 Next articleBatman Made Out With Black Canary While Burning Criminals Alive, Here’s How It happened.